I can’t help but feeling like the past month is an experience that will impact me for the rest of my life. Seriously, I’m incredibly thankful for the opportunity to live in and get to know Roatán. It´s like a friend that you become really close with in a short period of time and you can´t help but to just be thankful that they were a part of your life. That´s how I feel about Roatán. From my islander friends (like Kenfor shown below) to the awesome American and Canadian volunteers who work at Clínica Esperanza, I met a ton of people who were so much fun to be around. Most of the volunteers were med school, nursing or pre-med students (and some doctors and nurses too), and being around them made me even more excited to get on the path towards a career in medicine because they were all so down to earth, caring and passionate about helping others. Couldn´t have asked for a cooler group of people to work with! Since I´ve gotten home, a lot of people have asked me how my experience was working in the hospital and what kind of things I was able to do there. Obviously I wasn´t giving treatments to people or diagnosing them since I´m not a doctor, but I got to be a part of every other aspect of a patient´s doctor visit. My co-intern and I were always the first people in the clinic to see patients each day, and after their long waits each morning (anywhere from 2-4 hours sometimes), we were always eager to get them into the clinic for triage just so they knew we´re doing our best to see everybody ASAP! 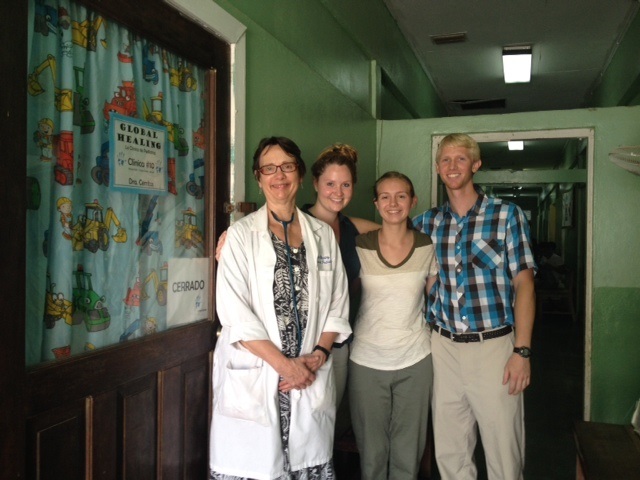 But the attending pediatricians, Dr. Chantry from UC-Davis and Dra. Cerritos from Honduras, worked hard to see anywhere from 10-15ish patients every morning. There´s Dr. Chantry and her daughter and niece with me in the picture below. Definitely my favorite part about volunteering at Global Healing was working with the kids everyday. 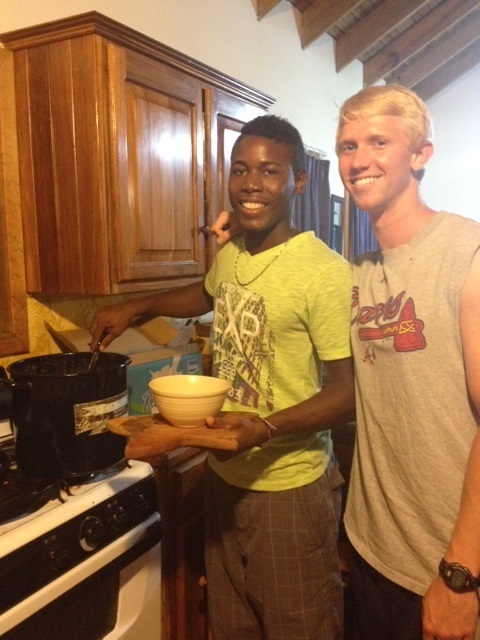 Not only did I learn to tune out a crying baby, but I also got to know some pretty awesome Honduran niños! A lot of times parents would bring all of their kids to the clinic in addition to the one who was sick, and most of the time those healthy kids wanted to do something…anything. They were probably so bored of sitting around at the hospital! So Zoey, Sabrina and I would give them some paper to draw on, we would read with them sometimes and Sabrina even made a poster and taught kids about the importance of brushing their teeth (which deserves emphasis because many kids came into clinic with cavities). I especially loved having older kids come into clinic because it’s fun to talk to them and see how they’re feeling instead of immediately asking the parent. Some of the kids would be shy and just look at their parent for answers, but some of them would be pretty chatty, like Keylin who’s in these pictures. Global Healing is really doing some great things in Roatán! 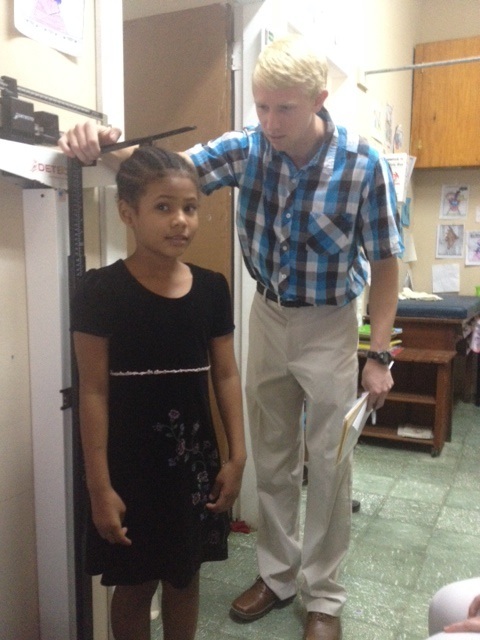 There were 10-15 patients everyday who would not have gotten medical care if it weren´t for the clinic. In addition to that, sustainability is always a big question with these medical mission projects, but that is taken care of at the clinic since we have Dra. Cerritos working there throughout the year. And all the families loooveee Dra. Cerritos by the way. 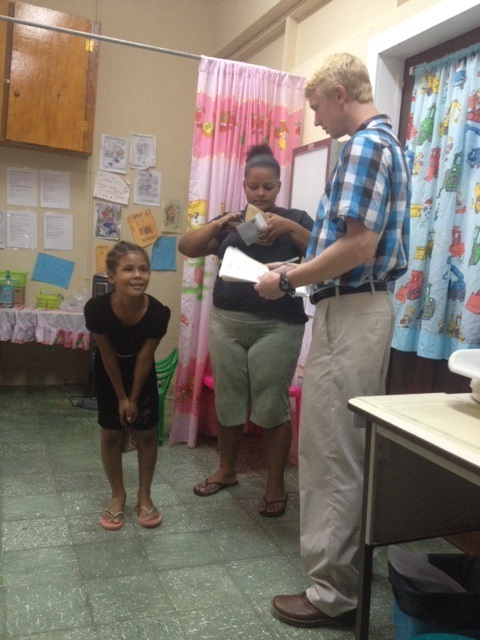 I learned so much about healthcare during the month I was there, and especially healthcare in an under-served área. It really is so much different than healthcare here in the states. There is a lot of need in Roatán, as there is in much of Central and South America. Healthcare is just one aspect of the need, but healthcare is also something that effects the total well-being of an individual in ways that no other service to someone can do. Volunteering in Roatán helped me to see that first hand. 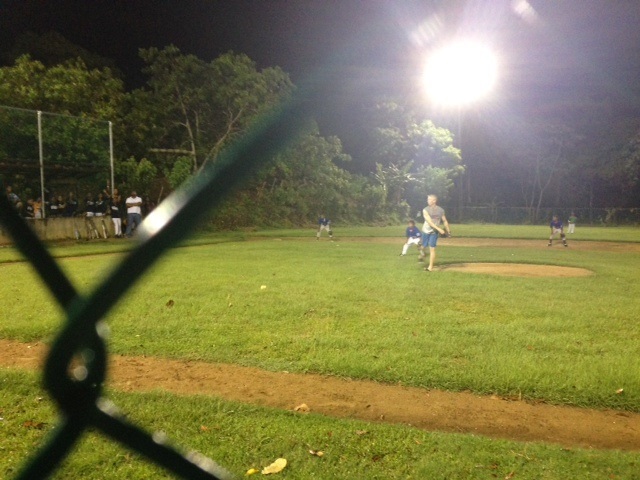 By the way, I also ended up getting a little bit of a bonus added to my trip when I found out they have little league baseball on the island! They had games every Saturday and the kids are pretty good ballplayers. I got to hang out with them a few times and they even let me pitch to them at a game, which was a lot of fun! Being in Roatán was one of the best experiences that I´ve had. And just to wrap all this up, I´m very thankful that I had the opportunity to volunteer and learn there. Roatán definitely gave me much more than I was able to give to the island, and it will always be a special place to me. Thanks for reading my post, and if you´re interested in learning more about Global Healing then check out the link below!